Leeds-based Hundred Year Old Man deliver a storming full-length Post-Metal debut. 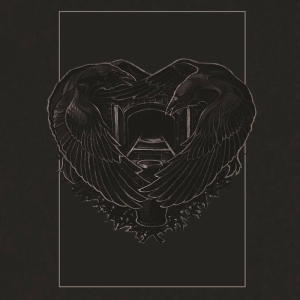 The Post-metal genre in itself is an arena of much debate - particularly with reference to what characterizes ‘Post-metal’ and its stylistic definition. Sitting vaguely somewhere in between Doom metal and Post-rock, it is a genre that bloomed vibrantly into existence through pioneering acts such as Neurosis, Isis and Godflesh that paved a new pathway for heavy experimental music. The openness of the genre and it’s ability to transgress into a variety of musical styles are undoubtedly its greatest strength, and consequently, its greatest attraction. Hence, we have since then been able to observe an explosion of bands operating in this area over the past decade. Conversely, the boundary-less nature of the genre eventually brings about the inevitable dilemma of over-saturation in the marketplace. 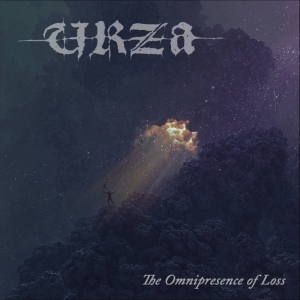 The results convey a plethora of bands all scurrying under the safety of the Post-metal umbrella - leaving one to question whether the musical offerings of a significant population in this group are indeed genuinely aligned with the unique intent and pathway that was harvested long ago by their predecessors. Step in Hundred Year Old Man (HYOM) - a 6-piece outfit from Leeds, UK and their 2018 debut full-length offering ‘Breaching’ (which reportedly builds upon their introductory Rei EP). 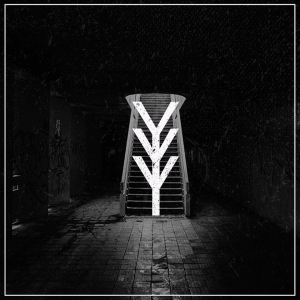 After having spent considerable time with this album, I will say this - that HYOM has completely re-instilled my adoration and love for Post-metal with a fiery passion that goes beyond words. I strongly urge all fans of the genre to give this album an honest listen. 'Breaching' constitutes an absolutely sublime effort of artistic expression that represents - what I personally believe to be - the true essence of what Post-metal represents. This album is so intricate in its energy that it’s difficult to define in prosaic terms. It is brutal, aggressive, developmental, contemplative, ferocious and savage at times, patient, expansive, unforgiving, heart-expanding - all of which is supremely woven together by the band to admirable precision. Perhaps the thing that stands out most on this album is the unyielding and relentless sense of overarching determination that is present from the start of the album all the way to the very end. HYOM dictate a clear sense of purpose. They are on a mission - and completely unwavering in their stead. 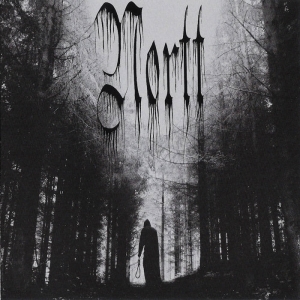 Tracks like 'Black Fire' and 'Forest' display the resolute ferociousness of the band with pummelling heavy-distorted riffage and thundering rhythmic interplay intertwined with passionate vocal screams that perfectly suit the band’s intended style. HYOM very successfully sculpt a menacing wall-of-sound style production on 'Breaching' that produces the effect of a black hole slowly but surely sucking the listener into the great unknown. On the other hand, the outro track ‘Ascension’ shows the more emotional side of the band, closing off the album perfectly with a sonic voyage that is simultaneously heart and mind-melting. Of notable mention is the enormous sense of atmosphere contained in this album. Acknowledging that a fair amount of this would be accredited to the band’s sound engineering/production team, however, equal praise to the band itself for their commendable execution of song arrangements that play a vital role in harnessing such depth and vastness in their sound. It’s been some time since I have thoroughly enjoyed a musical voyage as much as 'Breaching' presents - or more accurately - to be blown away by the inherent power of their music. For a debut release, the quality is just exemplary and leaves me excited to look forward to what they will create in the future - a time I patiently await with much eagerness. For now, interested parties can get a digital copy of the album off Gizeh Records' Bandcamp page which also hosts purchase links to vinyl copies for fans seeking a physical format of the album. Put aside some time and patience for this album - the experience in the end is truly liberating. Visit the Hundred Year Old Man bandpage.